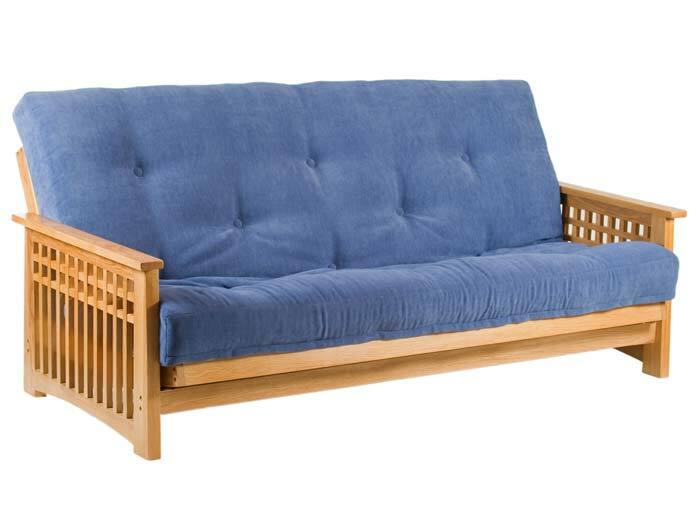 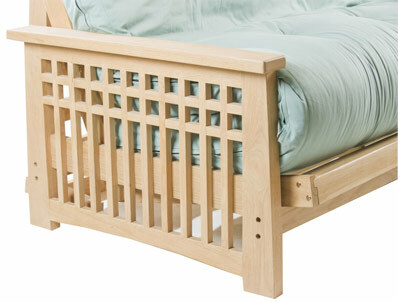 The Akino is now available with an dark oak frame and Pine slats as well as the hardwood frame , this solid frame helps it convert with ease, from a sofa to a double bed and back again. 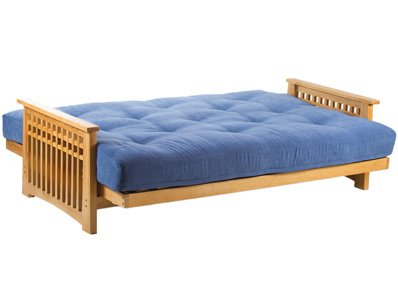 The Akino 3 seater is sold with a 7 layer futon whioch has a extra thick foam centre layer as standard . You can upgrade to 3 other cushions a Ultimate foam cotton rich mattress which has 2 layers of lambs wool 3 layers of white cotton 1 of polyester and a middle layer of high density foam , there are 2 pocket wsprung mattresses one with standard filling that has 2 layers of lambs wool, 4 layers of wool cotton mix and a centre layer of pocket springs and the pocket spring cotton rich mattress that has lambswool 2 layers , white cotton 4 layers and a centre layer of pocket springs.